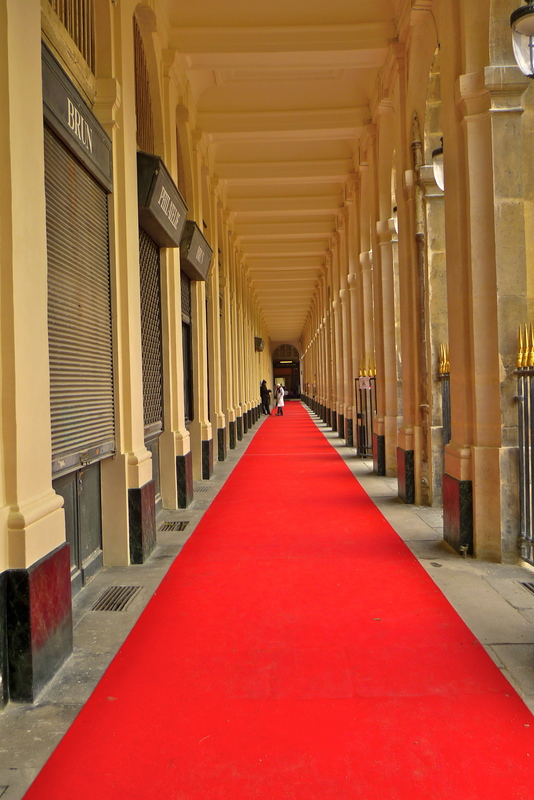 Today, the Palais Royal, in the 1st arrondissement, accommodates both the old and the new in harmony. 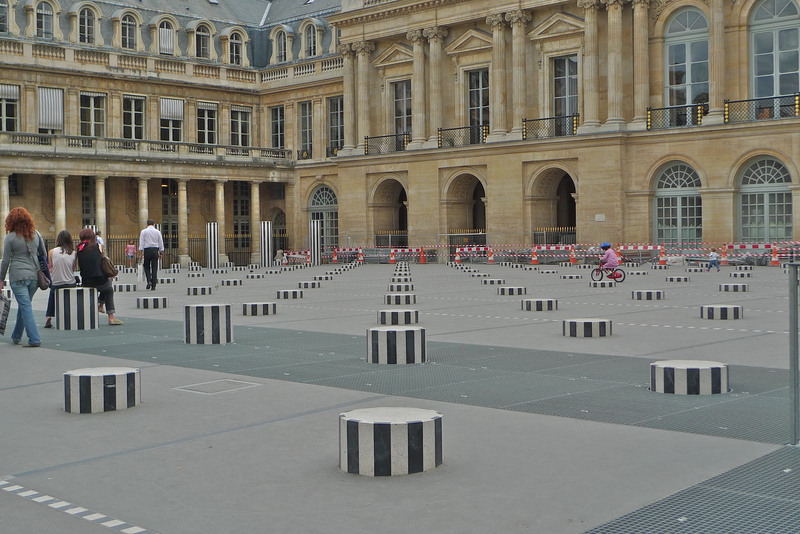 In the Cour d’honneur, Daniel Buren’s black and white columns, known as Les Colonnes de Buren, and the seventeenth-century facades somehow seem to sit comfortably together. Cardinal Richelieu lived here in the early seventeenth-century, as did various itinerant ‘Royals’. In the second half of the eighteenth century, Louis-Philippe-Joseph, duc d’Orléans moved in and changed the character of the place. In the 1780’s he turned this aristocratic home into a public place with a shopping mall complete with luxury shops, cafés and even a circus and a waxworks museum. The Palais Royal became the place to see and to be seen in. It attracted customers, flaneurs, passers-by and prostitutes in equal measure – a hotbed of pleasure and entertainment. But more than that, it represented a significant change in the social dimension – a sort of classless rubbing of shoulders. By the end of the eighteenth-century it had become a hotbed of political radicalism. In 1789, close to the restaurant Le Grand Véfour, which still stands in the Palais Royal and where Napoléon and Joséphine, Victor Hugo and Honoré de Balzac once sat, a young lawyer, Camille Desmoulins, an immature, reckless but passionate young man, stood on a table and issued his call ‘To Arms’. The crowd around him were to storm the Bastille the next day and the French Revolution was about to unleash unimaginable bloodshed. 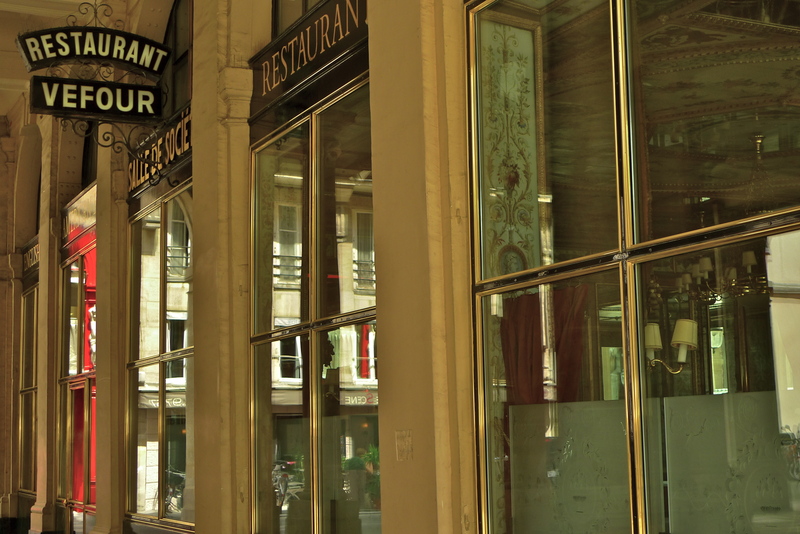 Although the shops and restaurants are still there, the Palais Royal has a more sedate feel to it today. 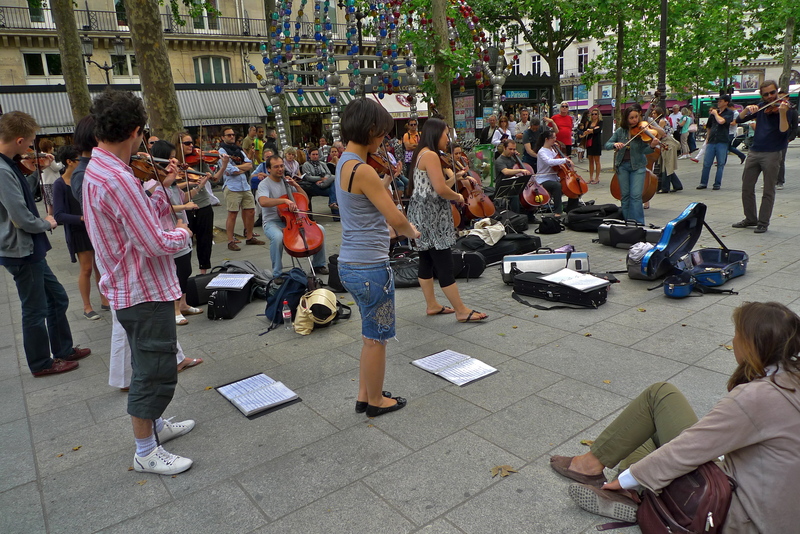 But keeping the eighteenth-century spirit of revelry alive, this group of young musicians enthusiastically reflect the former atmosphere of the Palais Royal much to the enjoyment of the large crowd rubbing shoulders around them.